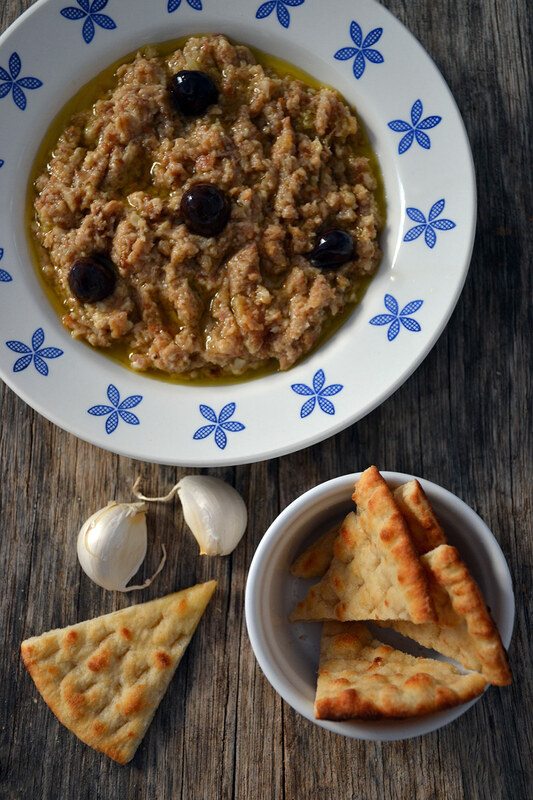 Garlic is used in many Greek dishes but the most popular is the thick puree called skordalia. Some recipes call for boiled potatoes, others for stale bread. I like to make it with bread and add walnuts, which are optional. This garlic dip is a great way to use up leftover bread. I like to use whole-wheat or multigrain, which is fine if you don’t mind the darker color. 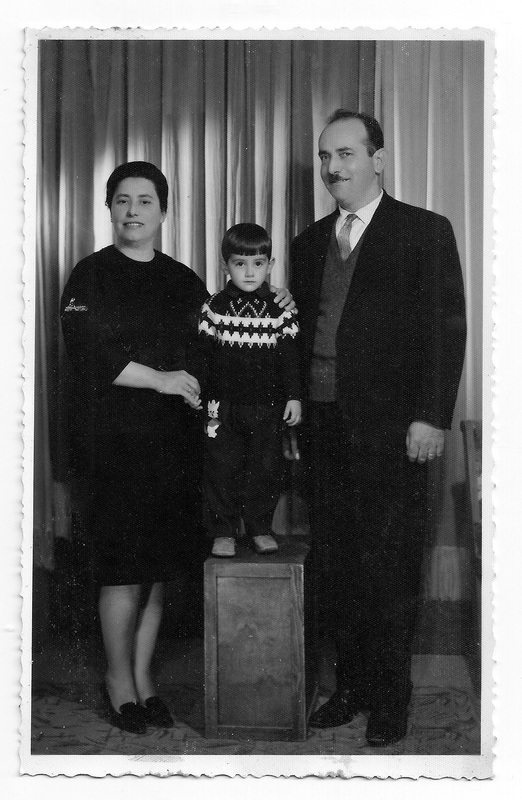 My Uncle Kostas made the best skordalia – and also danced the most evocative zeibekiko. My beloved Aunt Maria would tease him into making it by saying it was time for her strong husband to use his muscular arms for something other than holding her in his embrace. They were one of the most loving couples I know; maybe because they often ate the best skordalia! To make your own skordalia get 8 gloves of beautiful garlic. 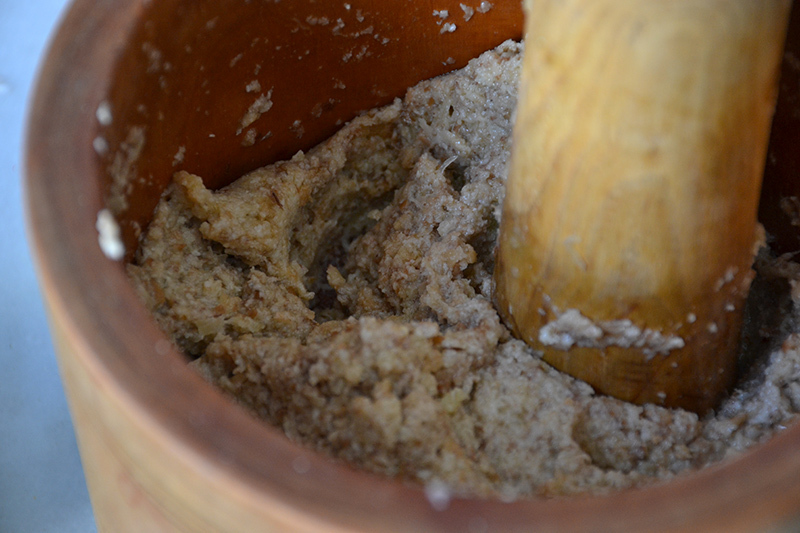 The best skordalia is made by hand in a wood mortar and beaten with a heavy pestle. Place the garlic in the mortar and drizzle with a little olive oil. Pound into a thick paste. 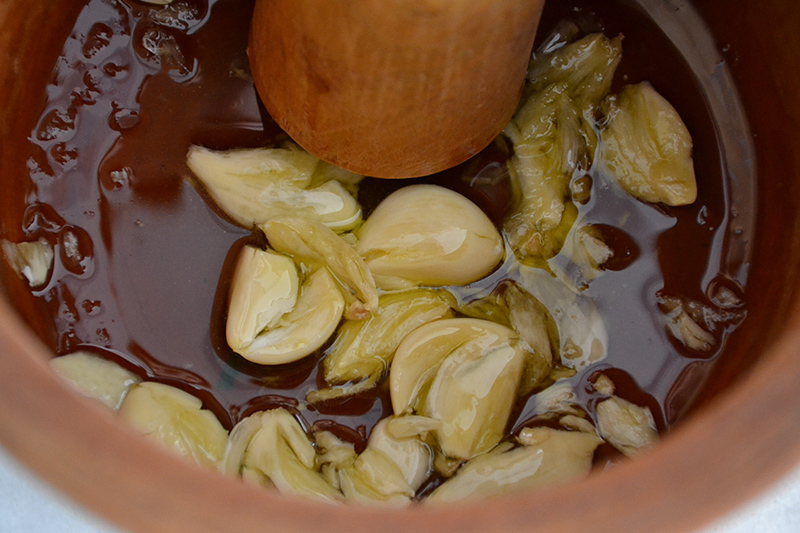 ….and the other ingredients; vinegar, olive oil and bread, alternating between small amounts of each and pounding well until thoroughly combined. This technique requires strong arms and patience, but the result is worth all the effort! 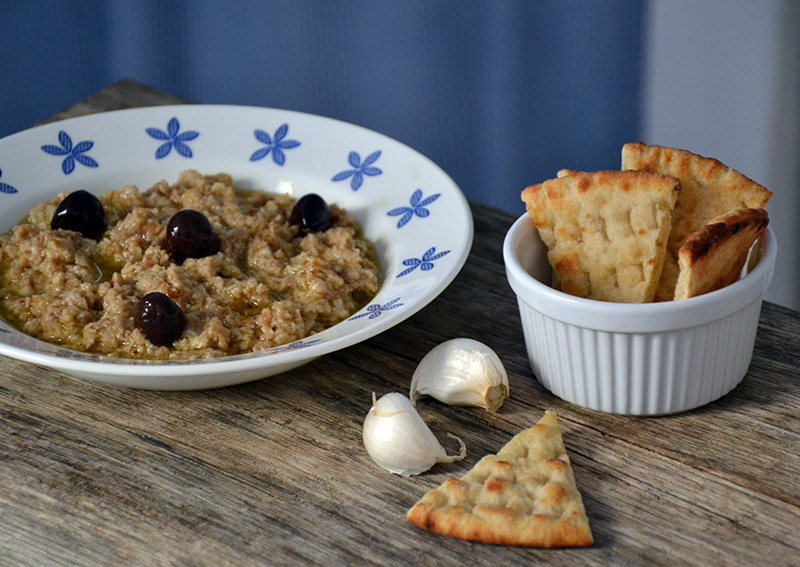 Try Skordalia with some pita bread….enjoy!! Soak the stale bread in the wine until soft. Squeeze out liquid and set aside. The best skordalia is made by hand in a wood mortar and beaten with a heavy pestle. Place the garlic in the mortar and drizzle with a little olive oil. Pound into a thick paste. Gradually add the other ingredients - bread, walnuts, olive oil, vinegar - alternating between small amounts of each and pounding well until thoroughly combined. This technique requires strong arms and patience. 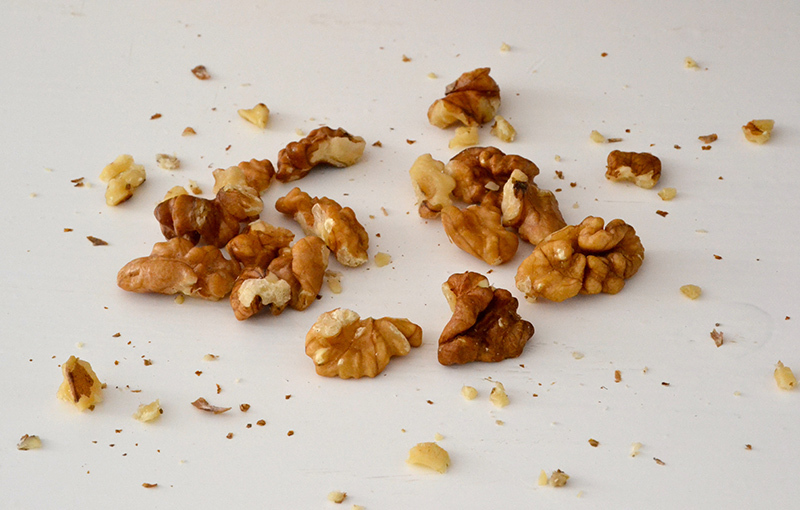 If you lack either, try this method: Place garlic, bread, walnuts, salt, and pepper in a blender and puree. With blender running, add olive oil and vinegar in steady streams, alternating between the two; continue beating until thoroughly combined. 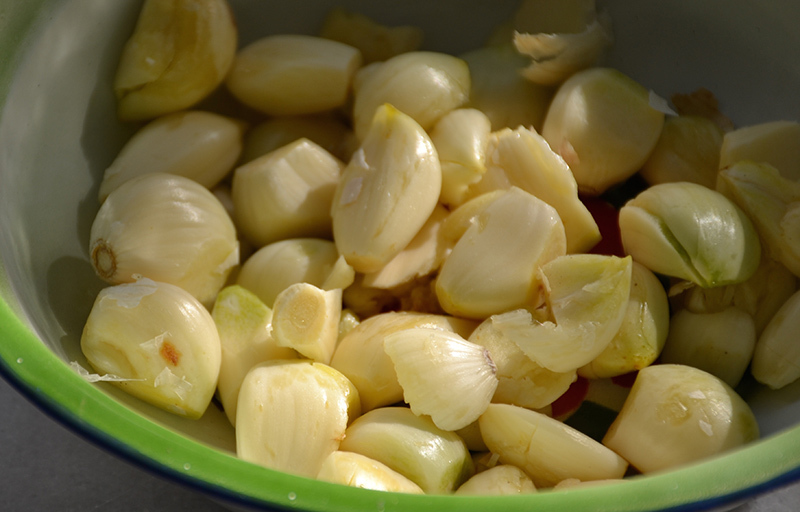 Experiment with the amount of garlic, adding a few more cloves if you like a stronger taste.